The city of Elche, in Spain, hosted the free workshop "Grammelot beyond the borders". from 26th to 30th November 2018. The activity took place in the "C.C Escorxador" Contemporary Culture Center and was held by Italian actor Andrea Brugnera, in collaboration with the Cultural association Maracaibo Teatro. 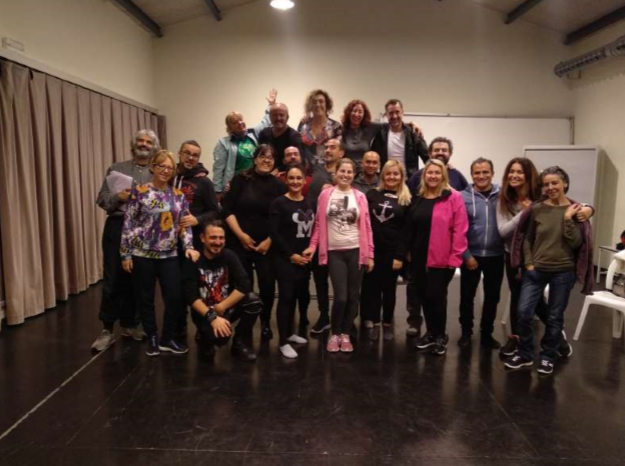 The workshop saw the participation of professional actors from various theater companies from the city and the surrounding area, as well as the participation of individual actors. The intention was to teach the basic technique for practicing Grammelot, a type of spoken language invented by ancient comedians, capable of transmitting narrative, with the support of particular gestures, rhythms and sounds, without the usual verbal language. In this key it is possible to improvise, or rather articulate all types of different lexical structures. The actor is able to speak Grammelot in English, Italian, German, Spanish and Polish. 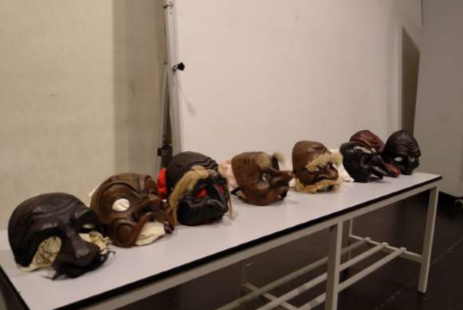 The laboratory has been divided into different educational moments, from research and perception of the body in space, to the creation of the gesture, from the manipulation of objects to the use of masks. There were also moments dedicated to the study of the typical characters of the commedia dell'arte: Arlecchino, Brisighella, the Zanni, the Doctor, the Courtesan, the Lovers and so on. Finally, a specific part of the course was dedicated to the Grammelot, where every specificity connected to the language was studied and deepened, passing through dialects and grammar and its use on the scene.The result was a very physical work in which the word was measured theatrically through the body and the voice. Work that has been put into practice for the preparation of the show "El Gran Teatro del Mundo" by Calderón de la Barca to which course participants have contributed with this technique that has harmonized very well with the spirit of the show that Maracaibo Teatro has intended to create.